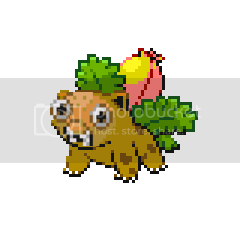 My friend made the most wonderful website...take two pokemon and fuse them together! Where have you been? Check out the Fan Art Forum for fusions made by many different people. Or, you could order some from my shop and see how they turn out. Location: On the Back of Lugia~! LOL. This is kinda funny. He didn't really do much then put one face on the other ones body, lol. I like this one the most. It looks almost like it could be a real pokemon, right? Love Can Not Be Measured. That site is a frickin' MEME in pokefarm.